Thank you all for the emails! I now have six wonderful readers. I know I said I just wanted a fourth O.O, but I couldn’t resist. My next manuscript is not ready yet. So why am I putting this call out so early? Because I’m looking for a permanent beta reader to add to my roster. I have three dedicated readers (Sam, Kai and Jason) and I’m looking to add a fourth. Because this needs to be a good fit I’m leaving this post up for submissions through mid-March. My Beta Readers are very important to me and I trust them with my work. They give me HONEST critiques of the story, characterization and ways to improve. I’m not looking for a grammar editor. Whoever I choose must be able to make time to complete the task, deliver on deadline, use TRACK CHANGES in MSWord and provide honest feedback. – Beta Readers look for: plot holes, inconsistent character development, bad structure and necessary changes. – Familiarity with my work. If you’ve read all the books even better. But at the very least an enjoyment of epic fantasy and young adult literature. – Willingness to give honest feedback. I’m not looking for someone who will spare my feelings. You would be expected to give me your honest opinion about what you didn’t like, what you’d prefer to see changed (if anything), and basically just your overall thoughts. I’m also not looking for unwarranted praise. Only your complete honesty can help me improve the story. I want each book to be the best possible story before release. – Ability to work on a tight deadline. If I send you the manuscript, I need to know that you can get it back to me with your mark-ups within five days. That’s it. So if you think you’re willing, ready and able to read a manuscript a month (Blades of Magic in March and Sworn To Defiance in April) then send me an email @ terahedun.ya@gmail.com with a note on why you’re interested and your qualifications (i.e Have you beta read before?). Please use the subject line BETA READER. It’ll take me some time to go through the submissions, so don’t worry if I don’t respond immediately. Sworn To Secrecy is LIVE (Read the First Two Chapters Now)!! In the heart of the Imperial Courts, Ciardis Weathervane knows that death is coming for the empire. With her friends by her side and the new triad of Weathervanes, she’s in a race against time to convince the courts of the same. There were few things in the world that mystified Ciardis Weathervane more than the Imperial Court of Sandrin. An intricate and multi-layered system with the imperial family at the top, the landed nobles squarely in the middle and the wealthy ton comprising of the merchants, the artists, and the mages at the bottom. If you could call it a bottom. Because nobles could be mages, imperial family members had independent wealth and all of them played their games in pursuit of their own desires. Fidelity, honor, and duty to the land weren’t what drove these courtiers. Pride of place and greed took prominence above all. So landing back at court on the arm of the woman that most everyone wanted dead and a man accused of aiding a serial killer wasn’t her best idea yet. Her mother and her brother were the two most infamous people at court now, a title Ciardis once held and gladly shed in favor of some other poor souls taking it up. She just wished it were two people other than the only ones left living that shared her last name. “A toast! To the most intriguing family to grace these courts for the past one hundred years!” said the man who sat to her left. “To intrigue and schemes!” shouted another gentleman well into his fifth cup of wine. Laughter spread up and down the table as nobles passed along what Lillian had said. With a smile frozen on her face, Ciardis looked around. It was the night of the emperor’s midnight ball. They had made their grand entrance into the festivities hours earlier. Now they sat at a long banquet table in one of the imperial ballrooms. Gilded leaf laced the walls in the shape of lilies everywhere she looked, a vaulted ceiling with solid gold chandeliers hung high above them and hundreds of servants dressed in golden brocade flitted up and down either side of the banquet table. Ciardis winced at the decadence as she looked around at the seated court guests. Decadence that rubbed at her the wrong way when she thought of the simple attire of the Panen people of the Ameles Forest or the stark living conditions of the soldiers that served in the northern campaign. His Imperial Majesty Bastien Athanos Algardis sat at the table’s head. Ciardis took note of his temperament and watched as his mouth thinned with displeasure. At least one person was unhappy that the Weathervane family had returned. As the emperor clenched a fist and slammed it into the table, the laughter around them died out. Lillian startled at the emperor’s anger. Ciardis didn’t blame her. Her mother–the woman tried and nearly executed for murdering his wife–the former Empress of Algardis, was sitting directly to his right. Ciardis, further down the table, reached for a crystal goblet of water to quench her sudden thirst. She desperately wished Prince Heir Sebastian were here. He would be mad as hell that she had left him in the north. But she didn’t care. She’d face his wrath any day over his father’s icy demeanor that sent chills down her spine. Sipping from her water she tried not to make eye contact with anyone, most especially not her mother or her only sibling, Caemon, who sat two seats down from Lillian on the opposite side of the table from Ciardis. It worked for a while. She mostly studied the intricate lace that lay delicately on the top of the table. Looking like an idiot all the while, she had no doubt. Still, in the company surrounding her a safe idiot was better than a dead know-it-all. But when the emperor himself called your name, you answered his query with respect or faced the idea that your head may not be there in the next moment. To be fair, Ciardis Weathervane had the right to be nervous. She had come to tonight’s gala not knowing what to expect. Uncertain if her mother would be executed on the spot by the emperor himself or thrown in the dungeon to await trial. Whatever was going to happen in her mind, it hadn’t been this. They had been seated so close to the emperor that if Ciardis wanted to, she could have stabbed him. Not that I want to. Never that, she hastily said in her head with a nervous glance out of the corner of her eye. The man seated to her right and to the emperor’s left was his favorite mind reader. She shivered just thinking about him reading her thoughts. Snapping back into the present, Ciardis turned to answer the emperor’s query. “Your Majesty,” Ciardis Weathervane said with perfect composure, as if she wasn’t contemplating a thousand ways this night could go wrong and her left hand wasn’t gripping the knife that was cleverly hidden in a pocket of her dress. The emperor looked directly at her. His eyes were like winter frost, a startling contrast to his son and heir’s forest-green eyes. His hair was silver gray and white, with the black of a crow’s wings at the top and base. Very distinguished. Very unforgiving. For a moment he said nothing. Is he joking? was the first thing that went through Ciardis Weathervane’s mind. Laughter formed next. But this time laughter didn’t ring out from the courtiers sitting around them. They all sat frozen like rabbits trying to escape a predator by being invisible. The emperor’s expression didn’t change. She gulped and glanced from his cold eyes to her mother’s. Lillian Weathervane sat still and strong in her chair to the emperor’s right. She looked every inch a noble-born to the imperial court. But more than that, Lillian was a noble mage, born to one of the finest and most honored families in the empire. Wealth, magic, beauty, and grace—Lillian Weathervane exemplified them all. As would Ciardis Weathervane, her only daughter, if she would have been born to a family that assigned her first lady’s maids at age two and placed a diamond collar about her neck at age four. But she hadn’t. Ciardis had grown up in a hovel in the middle of the countryside with barely enough food to eat, cleaning other villagers’ laundry as a way to keep a roof over her head. She didn’t belong here. And the nobles knew it. Unfortunately, her mother, while under suspicion of regicide no less, had no such compunctions about the place of her daughter—or her son. If anything, Caemon had had it worse than Ciardis. Ciardis momentarily felt more pity for him than she did for herself. He’d grown up a slave to the empire’s will, a living enhancement to any mage that did the bidding of the regiments in the north, all as a punishment for his mother’s indiscretions. Both twins were well aware of how much their mother’s troubled past had cost them; what they disagreed upon was whether it had been worth it. It would, of course, help if their mother would take the time to explain what exactly had happened on that dark and fateful night eighteen years ago. Then Ciardis’s reverie was broken. Ciardis’s grim look froze on her face before it could turn into a frown. She’d expected Lillian to step in. To stop this madness. Or at the very least to snap her fingers and dispel this mad dream. But she hadn’t. She felt like a parrot echoing her mother’s command. This wasn’t what she wanted. But then again, she didn’t have much of a choice. This was Lillian’s plan, Lillian’s risk, and it would be Lillian’s triumph. In the week that Ciardis Weathervane had come to know her mother, she had learned one important rule: What Lillian wanted, Lillian got. A manservant pulled the emperor’s dining chair back from the table. As he stood, the musicians off in the corner began to play a soothing melody with a sonorous mage standing by to accompany them. The emperor gave Ciardis a perfunctory bow and the gentleman seated to her left stood, smoothly placing Ciardis’s hand in the emperor’s, and she got the shivers. The emperor didn’t grip her hand as they swept forward toward the empty dance floor in front of the table, though; instead her sweaty hand rested in his palm. No doubt he noticed. As they walked side-by-side, she could almost imagine that it was a regular dance. A normal man beside her. But this man was different. He was Sebastian’s father and one of the few people in the empire who had the authority to order her death with a snap of his fingers. No wonder she couldn’t get her heart to stop beating so quickly. She heard the shuffle of feet behind her as they finally reached the center of the dance floor. She turned her head slightly to see groups of nobles coming up behind them and streaming past. They gave the emperor and his dancing companion a wide berth. To Ciardis’s consternation, she saw that the noble guests were moving to stand in a broad circle with a large opening in the center. They were going to watch her dance with the emperor. Could this night get any worse? Yes, it could, she decided privately. She couldn’t help but compare her dove silk gown to the fantastic outfits on the women and men around her. The lord chamberlain had done his best, and with just twenty-four hours’ notice his attire was hard to beat, but even Ciardis could see that her gown was woefully undercut by the elaborate and trendy gowns that clothed the gathered nobles. She shouldn’t have been surprised. This wasn’t an intimate dinner party of friends, after all; it was the most powerful group of people in the empire. But she didn’t forget. All of this finery and pomp hid a dark side. This was the same group that had stood by while assassins tried to kill their prince heir, the same group that had indirectly sanctioned the murderous intent of Sebastian’s aunt and uncle, princess heir Marissa and the duke of Cinnis, and what was more, this group would do everything in its power to bring the Weathervane family down. They might not have seen Ciardis alone as a threat, but she knew, just as they did, that more than one Weathervane meant that the family had risen again, shaking up the structure of the imperial court and posing a threat to all those who stood in their way. Ciardis would have been happy to tell them that she wanted no part in their downfall, didn’t want their money, didn’t want their land, and didn’t want their titles. But from the looks on their faces, they wouldn’t hesitate to kill her while she tried to explain. Ciardis saw her mother’s proud face in the group, and she knew with dread that what she wanted at that moment—to build an alliance and halt the threat of an advancing god of destruction, the blutgott—wasn’t on her mother’s agenda. Blood would be shed soon, and Lillian Weathervane would be the one wielding the knife. As they entered into the center of the ballroom, Ciardis glanced up at the dome—wide-open with a high-vaulted ceiling and diamonds set into the raised panels high above their heads. She wondered where Thanar, Inga and Kane had disappeared to. No time to worry about them. I’m sure they’re fine and hopefully, having more luck than I at acquiring court allies, she thought to herself. She knew that she had to convince the emperor not to kill her mother while explaining the threat the coming blutgott posed. It was difficult to imagine a more important conversation in her life, not only because of the topics that needed to be addressed, but quite frankly because one didn’t just dance with the Emperor of Algardis. If he didn’t want her dead, then he definitely wanted something from her. The emperor slowed and smoothly angled his grip on her hand to turn her towards him in an arc, causing her dress to sweep out elegantly and her other hand to meet his when she faced him. His eyes were cold and his mouth pressed into a thin line as he smoothly eased her into a waltz. “Your Imperial Majesty.” Sweat beaded on her spine. She was grateful, for once, that she’d gone with a high-backed dress this evening. “You honor me, sire. I hadn’t thought you noticed my presence.” Her tone dipped in surprise. I wouldn’t have had to do any of those things, if you had done your job, was what she wanted to snap. The Emperor froze. Ciardis gripped his shoulder tighter and pushed him back a step so that they didn’t miss a turn in their dance. She stared into the emperor’s eyes with stubbornness in her gaze. When he said nothing but continued to dance, she turn slightly to eye the ring of guards interspersed among the guests. They all carried swords. Any one of them could put a steel blade through her back. You never knew what the emperor was thinking. She was hoping that her last living breath wasn’t going to be spent on a dance floor. Left unspoken was the fact that she had uncovered his sister’s plot to drain his son and true heir of magic from the moment Sebastian had turned five. The Princess Heir Marissa of Algardis had been a snake in the grass and ingeniously ordered her men to tie the spell that took Sebastian’s power from him to a locket that she presented to her brother. All the while hiding her true intentions—to shore up the emperor’s gifts until Sebastian had failed his inheritance tests and was forced to be removed from the line of succession—leaving Marissa the one and only heir to the emperor, whom she had assuredly would have killed the month the announcement of succession was made. Ciardis pursed her lips. There was nothing to say to that. If she knew one thing about the emperor, it was this: He never misspoke a threat. Even then her attempt to defend the empire’s actions had been weak. Now she had no defense to stand upon. Of course you don’t, Ciardis thought miserably of the emperor. Thanar was right, the kith aren’t even people to the rest of the empire. Ciardis licked her dry lips as she fought not to push the emperor back from her and draw the blade that she had hidden in her dress. She wanted to stab him where he stood. She was tired of threats. Tired of an imperial family that did nothing but serve their own needs. But then she thought of her family. The only family she had left. She pushed down her anger. To the surrounding nobles it looked as if the Lady Weathervane had pulled a coup at the height of this season’s most prestigious ball. A dance with the Emperor. A private conversation with the man with the power to give them anything – wealth, land, and titles. Little did they know – Ciardis only wanted one thing. Freedom. He twisted his arm out and Ciardis watched as faces flew by and blurred together as she turned and turned on the arm of the empire’s most powerful man. Her hand outstretched as if greeting the people around her. Whispers flew by and heads turned in comment as she gracefully folded back into the emperor’s arms. He was right. She was the talk of the ball. She gathered her anger to her as she faced the man who held her family’s life in his hands. Her golden Weathervane eyes met his silver visage. Her eyes flamed with fiery retribution. His eyes returned her ire with cool calculation. She moved like a doll in his arms. Her mother’s life and her own in his hands. He swept her out once more in a graceful arc, while the gathered nobles waited in a circle around them. Lillian’s eyes caught Ciardis’s, and there was triumph in them. Her mother thought the emperor was dancing with her as a sign of his favor. The official release date for Sworn To Secrecy (Courtlight Book #4) is February 28th. There will be a 48-hour super sale where Book Four in the Courtlight series will be offered for $0.99c during the first 48 hours of release! That could mean anytime between the 25th and 28th. Sign-up for the new release list today to receive an email the minute it’s live and in addition get the full cover reveal for the first book in a new series! At the end of the 48-hour sale, Sworn To Secrecy will go to back to its regular price of $3.99. Don’t miss out! I won’t say much about this new series except that it’s Young Adult and High Fantasy as well as set in the same world as Courtlight. You’ll be able to see the cover in my Sworn To Secrecy email just before February 28th. Sign-up today and get your sneak peek! For anyone wondering about the release date of Book #5, I am hoping to have it ready for release in March 2014. The title for this book will also be revealed in the newsletter. A huge thank you to my beta readers! 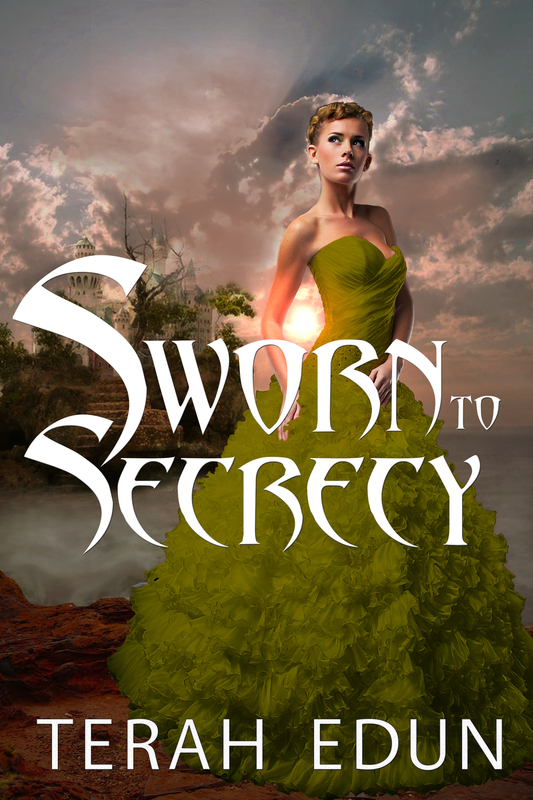 A very special thank you to all the beta readers who read and returned feedback for Sworn To Secrecy. I had to do some major revisions which couldn’t have been done without you! Yes, this could be you! You can now sign-up to receive a free review copy of my latest books here! Only requirement is the ability to read and review on Amazon.com.